Date: Wednesday 28th April 1982. Scorers: Aston Villa: Geddis. 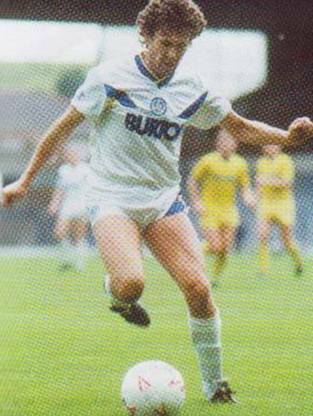 Leeds United: Graham, Worthington (2), Connor. 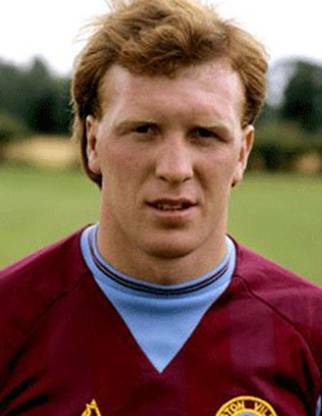 Aston Villa: Rimmer; Swain, Williams; Ormsby, McNaught, Blair; Bremner, Geddis, Withe, Cowans, Morley (Walters). 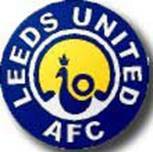 Leeds United: Lukic; Hird, F. Gray; Flynn, Hart, Cherry; E. Gray, Graham, Worthington, Connor, Barnes. 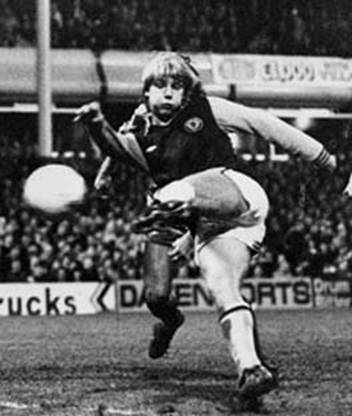 Leeds United gave their fight against relegation a major boost with a resounding 4-1 success over the European Cup Finalists Aston Villa in a night clash at Villa Park in April 1982. 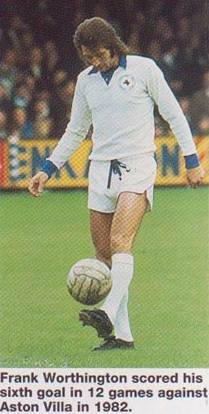 The victory earned by early goals from Arthur Graham, two from Frank Worthington and one from Terry Connor, lifted Allan Clarke’s side out of the First Division bottom three. With matches in hand over their fellow strugglers, hopes were high on the return journey to Elland Road that relegation could now be avoided, hopes that were dashed as United won only one and picked up just five points in their next six matches. 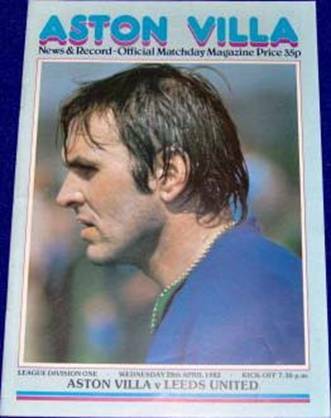 Until Arthur Graham equalized two minutes from half-time the game looked like taking a very different course from what it eventually did. Villa boosted by a fiercely struck goal from David Geddis, deputising for England Under-Twenty-One striker Gary Shaw, seemed to have things very much under control. 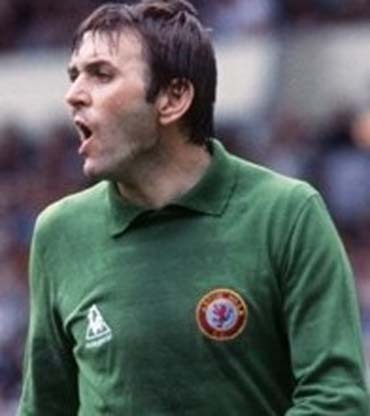 Jimmy Rimmer in the Villa goal did not have a shot to save until the thirty-sixth minute, when Frank Worthington managed a header on target, but within minutes of that, Arthur Graham floated the ball over the keeper and into the net from twenty yards. United then went on to crack home three fine goals in a fourteen minute spell after the break and made the game one to remember for those faithful fans who had made the long journey. Young striker Terry Connor surged past three defenders in the forty-seventh minute to serve up a chance for Frank Worthington to sweep the ball into the unguarded net from a few yards. 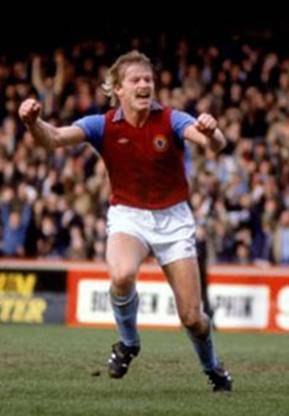 Eight minutes later Worthington scored his sixth goal in twelve appearances when he collected a rebound after Frank Gray’s free-kick came back off Villa’s defensive ‘wall’. In the sixty-fourth minute Peter Barnes left Gary Williams reeling and played in Terry Connor, who crowned a first-class performance with a goal. Villa may have been pre-occupied with their upcoming European Cup Final with Bayern Munich but United had the satisfaction of knowing every man had played a full part in the victory. Aston Villa were stunned by a superb revival as Leeds fought for their First Division lives in this game. Villa had taken a ninth minute lead through stand-in striker David Geddis, but they had no answer to a Leeds comeback which intensified the relegation pressure on midland neighbours Wolves, Birmingham and West Brom. David Geddis could not earn himself a regular place in the Villa side and was seeking a move, but his scoring record reached an impressive nine in fifteen appearances. He took his shooting chance with supreme confidence after missing an earlier opportunity to open his account. The opening was created by a shot from Gordon Cowans, which goalkeeper John Lukic found too hot to handle. The loose ball fell into Geddis’ path and he rifled it into the net. It ought to have put Villa on course for an eighth successive home win in a season which had burst into life after a poor start, but Leeds, their illustrious eighteen year spell in the First Division in serious jeopardy, equalized with a superb goal from Arthur Graham in the forty-third minute. 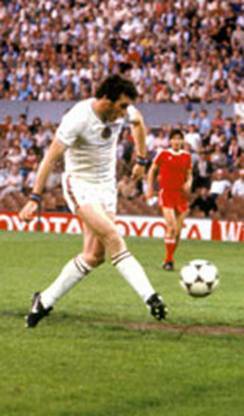 The Scot danced his way around a wall of Villa defenders before steering his right foot shot around Jimmy Rimmer. It was some compensation for Leeds, who had Trevor Cherry and Frank Worthington booked for offences which captured the frustrations they were suffering after just one victory in nine games. Villa, who were fortunate not to concede a penalty just before half-time when Brendon Ormsby clumsily brought down Terry Connor, found themselves a goal behind in the fifty-third minute when Terry Connor beat Ken Swain and crossed from the right to present Frank Worthington with a simple far-post tap-in for his fifth goal in twelve games. The Leeds recovery went a stage further two minutes later when Worthington scored again. The former England centre-forward blazed in a shot from just outside the penalty area. Villa’s embarrassment became even more acute in the sixty-third minute when a defence which had conceded only one goal in its previous six games was breached for the fourth time in the match. Peter Barnes crossed from the right and Terry Connor was unmarked in front of goal to head home a simple chance. The Leeds win pushed Wolves and West Brom into twentieth and twenty-first places in the survival dogfight and they had two games in hand over Ian Greaves’ Molineux side. Leeds United scoring four times in twenty-one minutes, made an unexpected surge out of the relegation zone by inflicting Aston Villa’s heaviest defeat since their last match for Ron Saunders in February. Leeds, in danger of surrendering First Division status after eighteen largely successful years, cracked in the ninth minute. John Lukic pushed out a shot from Gordon Cowans and David Geddis accepted a simple chance for his ninth goal in fifteen matches that season. 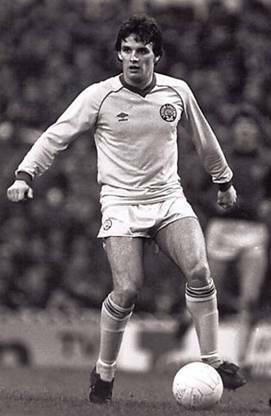 Although Peter Barnes proved his ability to out-wt Ken Swain on several occasions, Leeds failed to take advantage initially of Villa’s struggle to cope with three enforced changes to their European Cup formation. Leeds revealed some tension when Trevor Cherry was booked for deliberate handling and Frank Worthington for dissent. But Arthur Graham, on the left of the penalty area, punished a defensive error to level the score with a shot skillfully curved round Jimmy Rimmer after forty-two minutes. 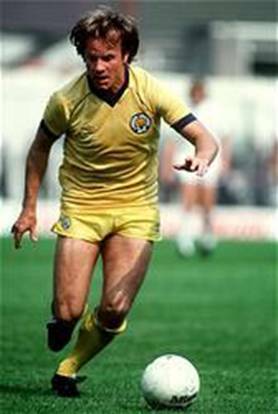 Leeds shook Villa with two goals from Frank Worthington early in the second half. He tapped in a close range shot from Terry Connor’s pass across the goalmouth after forty-eight minutes and then struck home a twenty-five yard shot after a fifty-fifth minute free-kick from Frank Gray rebounded from Villa’s defensive wall. Villa’s composure disintegrated completely and Leeds went into a 4-1 lead with a header by Terry Connor from Peter Barnes’ cross after sixty-five minutes. The introduction of Mark Walters, a seventeen year-old England Youth International, came too late to revive hapless Villa. They should have gone further behind when Frank Worthington missed a hat-trick chance. 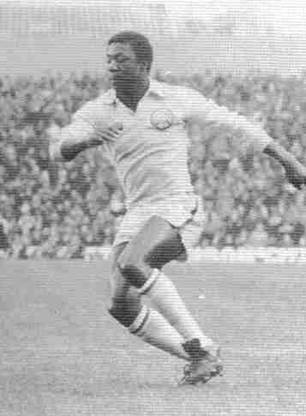 Arthur Graham, Frank Worthington (2) and Terry Connor got the Leeds goals. Frank Gray’s free-kick led to the third goal Peter Barnes gave an Jimmy Rimmer was one of the few regular first team players.